Aloe vera is generally accepted as an unsurpassed healing plant; it was presented to dead pharaohs as a burial gift, and known in Egypt as the “plant of immortality.” Also known as burn plant, lily of the desert or elephant’s gall, aloe is easy to grow indoors, making it an instant home remedy for minor burns or skin irritations. All you have to do is break or cut open a leaf and apply the thick gel inside to the affected area. Aloe encourages quick healing with little or no scarring, may reduce pain and inflammation from skin injuries, and is sometimes used topically to reduce already formed scars or stretch marks. Aloe may also be useful as a before-sun treatment to help reduce the effects of the sun’s ultraviolet rays, and is a common ingredient in cosmetic products and moisturizers because its topical application stimulates elastin and collagen synthesis. Aloe vera is used topically to treat sunburns and minor burns, plus a wide variety of skin conditions like shingles, eczema, ultra-violet induced erythema and other inflammatory skin conditions, psoriasis, acne, genital herpes, cold sores and scrapes. Its apparent anti-inflammatory and analgaesic properties also lend it to use on arthritic joints. While most scientific proof indicates that aloe encourages the faster healing of skin injuries, it should never be applied to open wounds. Topical aloe may enhance hydrocortisone’s ability to reduce swelling and inflammation. While there are a few cautions about aloe-medication interactions with oral aloe use, there are no other cautions about topical aloe use. As an herbal supplement, aloe vera is not subject to regulation by the U.S. Food and Drug Administration regarding safety, efficacy or purity. This means that even though topical aloe’s reported side effects are both minor and rare, you should still be wary of products advertised as aloe supplements that in fact have very little aloe in them, may be mixed with other products that do produce unwanted side effects, or may be contaminated through substandard production or quality control practices. While aloe vera is typically accepted as a proven topical healing herb, and no serious side effects have been reported with its use, on rare occasions there have been reports of skin burning, redness or rash. 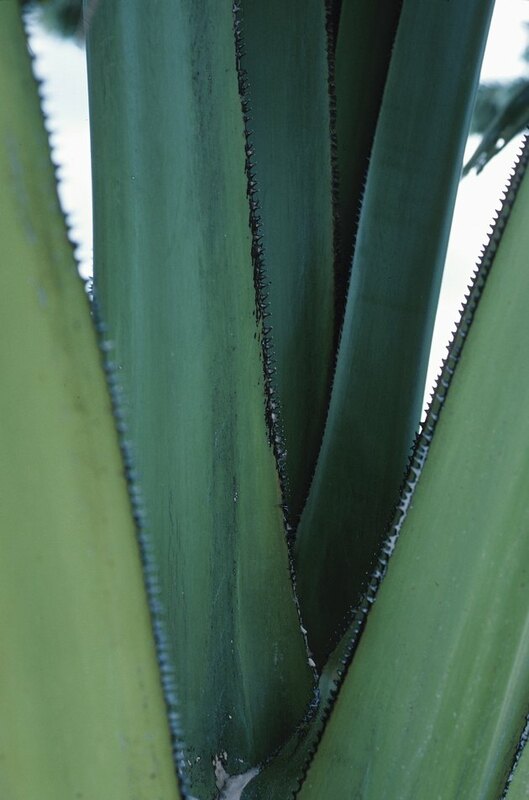 If you are using raw aloe gel from the inside of an aloe leaf, be aware that the aloe latex, a sticky yellow liquid just inside the outer surface of the aloe leaf, may stain your skin yellow if mistakenly applied. This stain will wash away easily with water, but may be embarrassing, especially if you have applied it to your face to soothe a sunburn. What Is an Aloe Barbadensis Leaf?